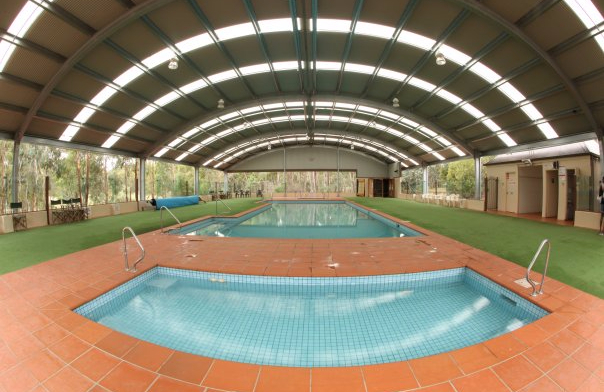 Kyneton Bushland Resort is set in virgin Australian bush, less than one-hour's leisurely drive from Melbourne. The resort is surrounded by the beautiful local wildlife, including kangaroos, possums, wallabies and echidna's, along with a veritable array of different bird species. Kyneton Bushland Resort delivers quality holiday accommodation in fully self-contained villas spread out across fifty-five hectares. There are also seven modern apartments overlooking our two-hectare lake. (Guests can upgrade to for a fee, payable direct to the resort after confirming an exchange) The villas are totally separate, ensuring seclusion, serenity and privacy for everyone. You'll find all the comforts of home in both styles of accommodation, including two TVs, a DVD player, convection microwave, dishwasher, washing machine, dryer, air-conditioning, heating and a telephone. 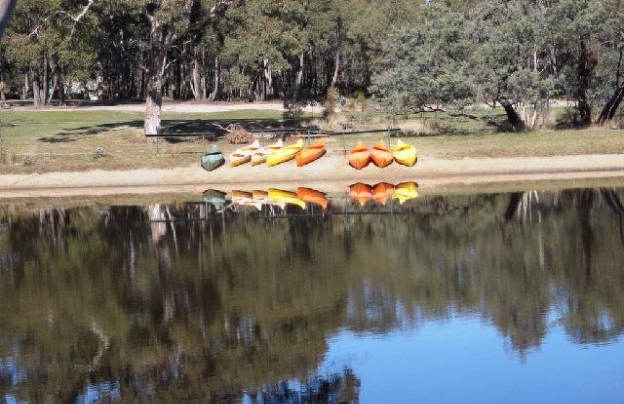 On-site amenities include sociable barbeques canoes and fishing on the lake, heated pool, spa and sauna, two tennis courts, a squash court, adult lounge and games room. Burn off some extra energy in the outdoor gym or watch the children enjoy their time in the well-equiped playground. Being our guest entitles you to generously discounted green fees at the nearby Kyneton Golf Club and Trentham Golf Club. You'll also be able to choose from a full program of fun, resort run activities to suit the whole family. The township of Kyneton, with a population of approximately 8,000, is a five-minute drive from the Resort. Also just short drive away are the famous Hanging Rock and the Hepburn Mineral Spas. Kyneton is your perfect base from which to explore the myriad of beautiful attractions in Country Victoria. We advise you to hire a car at the airport as you will certainly need your own vehicle during your time at the resort. Do not take a taxi as the fare to the resort is very expensive. If you are using a GPS enter Melville Drive, Kyneton From....Melbourne Airport Take the Sunbury exit and when you reach that town drive straight through it and continue up the long hill out of Sunbury. When you reach the top of the hill you will see a very large, green water storage tank on your right. Approximately 100 metres past the tank turn left into Dalrymple Road. After about three kilometres you will see that Dalrymple Road turns off to the right. Do not take that turn but keep going straight ahead following the green sign indicating Bendigo and continue on for another two kilometres until you reach the bridge over the Calder Highway. Cross the bridge and turn right onto the Calder Highway. You remain on the Calder Highway until you reach Kyneton. Ignore the first turn off into Kyneton and drive on for about another kilometre to the second exit. Drive up the exit ramp to the roundabout and turn right around it to proceed across the bridge and along Edgecombe Road. The resort is located on the right about one and a half kilometres from the bridge. From....Melbourne City by Car Follow the airport signs to the Tullamarine Freeway. (Be warned, however, that you will first need to have an E tag or a day pass from City Link as the first section of the Tullamarine Freeway you travel on is actually a toll way. There are no toll booths but your car will be recorded electronically.) As you pass Essendon Aerodrome move to the left hand lanes and follow the Bendigo signs. You remain on this road (which becomes the Calder Highway) until you reach Kyneton. Ignore the first turn off into Kyneton and drive on for about another kilometre to the second exit. Drive up the exit ramp to the roundabout and turn right around it to proceed across the bridge and along Edgecombe Road. The resort is located on the right about one and a half kilometres from the bridge.